The route leads through the former military area under the mountain Jested (about 25km from DE-Zittau). 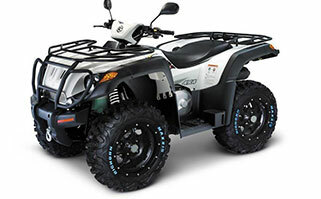 Be driven mainly unpaved forest & field-paths with part Trial passages, the winch is necessarily used. (Gravel / field / forest / Tieftal-way share of 90%). 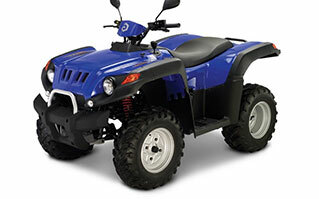 Offroad 4×4 Driving calls for more power and brings increased risk of accident for inexperienced. So your health is at risk. Think on it, if choose this tour. The tour guide has full right to decide how or even if the lessee can drive heavy spot. Please arrive at least half an hour before departure in our operation. 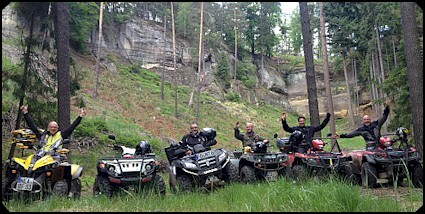 The tour starts from 1 ATVs. Please bring your driver license. 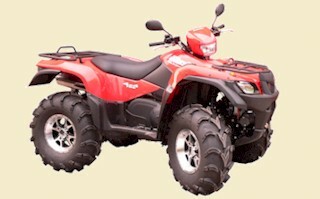 B, Deposit 500 EUR / rental ATV, SB 2500 EUR case of accident. Depending on the request, a travel program for you will be prepared. We will spend up to 90% off paved roads. 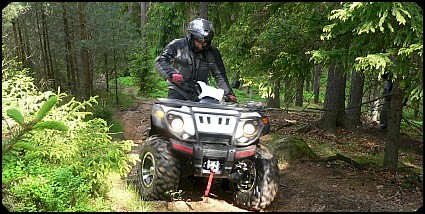 Depending on the season can be muddy or very dusty. Please be careful when selecting suitable clothes! 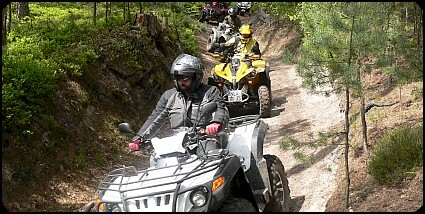 This 4×4 ATV route is matched to the drivers and only the tour guide decides where and how it goes. Some sites can also be very dangerous for the experienced. However, we will not organize offroad race – those who are demolishing the mud or on the motocross terrain have set, we have to disappoint. We accept consideration for hikers, mountain bikers and equestrians. We put in between regularly short stops at appropriate locations. arrive and spend the night in Golf Pension. You can also still on the golf course leave few punches.